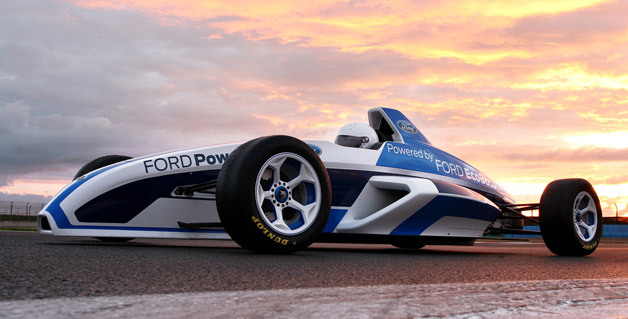 Ford has revealed the all new 2012 Formula Ford race car, which is to be powered by a 1.6-liter EcoBoost four-cylinder engine, and is mated to a six-speed sequential gearbox, which meters out 158 horses and 162 pound-feet of torque. 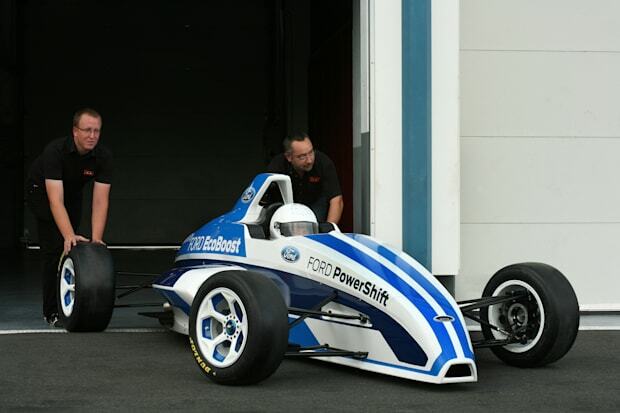 The chassis is still of steel tubular construction in keeping with “grass roots” motorsport. The pricetag of six-digits (Euro) however is a far-cry from the 1000-pounds-stirling of the 1960’s class rules.